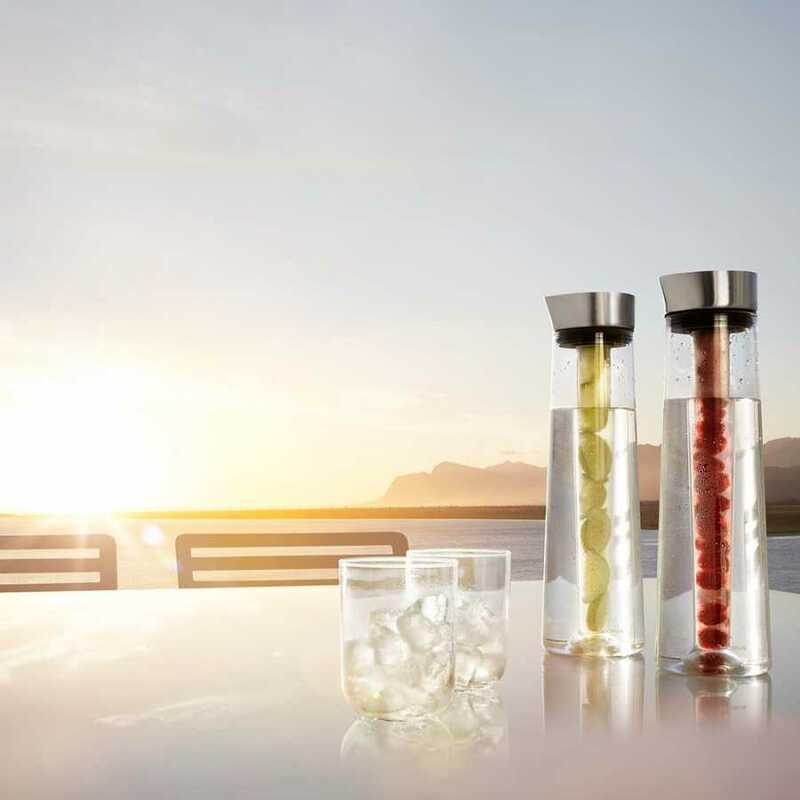 Designed with real modern style and appeal which is typical of its designers, the ACQUA COOL Carafe by Blomus is the ideal vessel for storing and serving cold drinks. It has been designed with a simple function and this has been housed in a modern design to give the carafe a striking profile, whether you lay it out a dinnerware or tableware or simply keep it in the kitchen. It is part of a much wider collection of stylish kitchen accessories by Blomus which offer true style alongside optimal function.
. This simple yet effective carafe has been designed by Blomus who pride themselves on creating useful pieces for the home that are inspired by the urban environment. 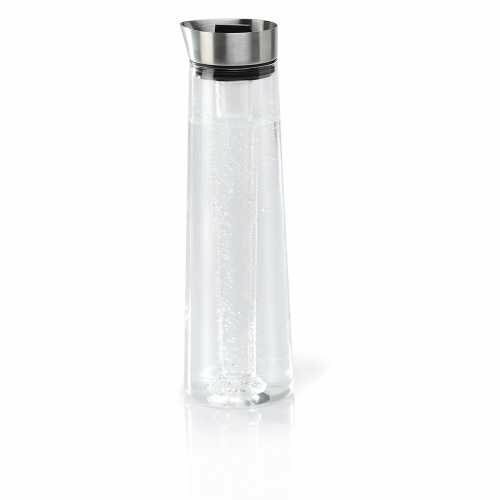 This carafe has a slimline profile which ensures it's easy to slip into the fridge. 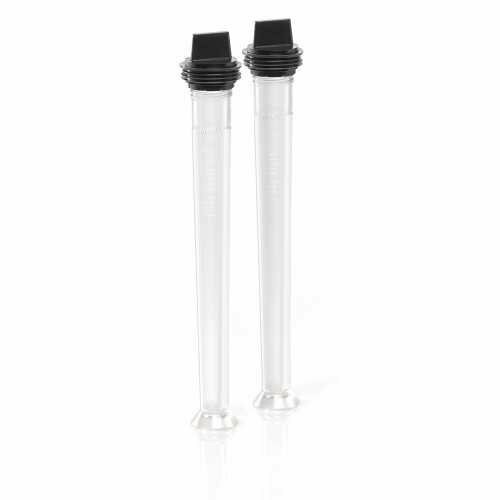 With two additional cartridges, it is also ideal for filtering your water as well as serving any other drink. Each ACQUA COOL Carafe has been constructed from simple clear glass with a matte stainless steel lid. The stainless steel accents give the carafe its modern look and each is delivered with a 2 year manufacturer’s guarantee. 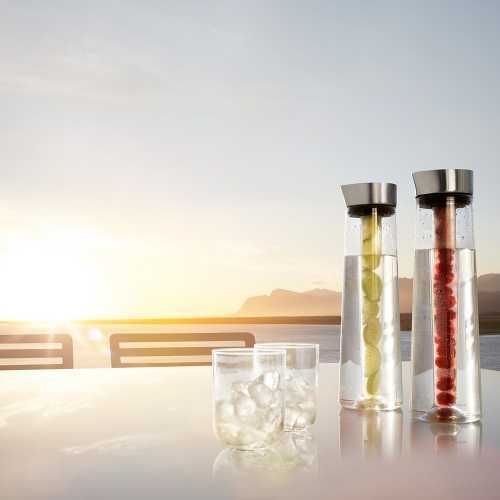 The ACQUA Cool Carafe by Blomus measures 34.5cm in height, 10cm in diameter and has a capacity of 1.2litres. For more information about the designer behind this piece please visit our dedicated Blomus brand page.